A large crowd gathers in Havana’s Revolution Square Dec. 1 to say goodbye to Cuba’s longtime leader Fidel Castro, who died Nov. 25. 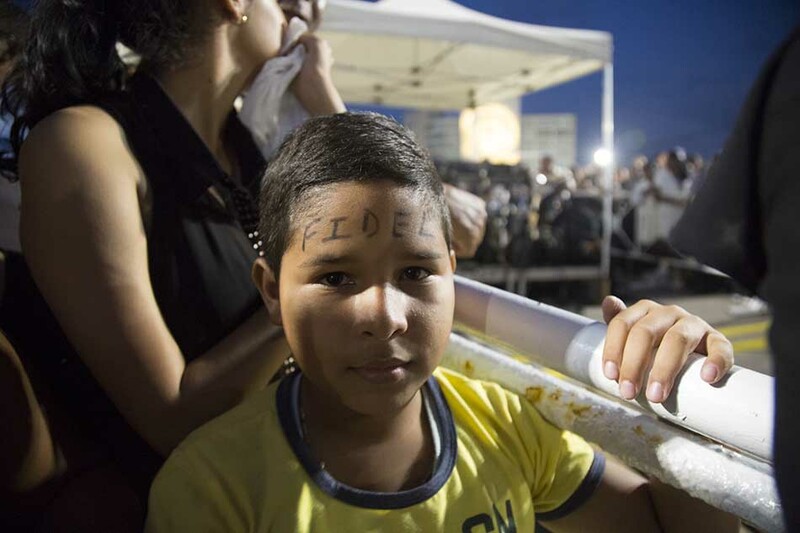 A NE photography associate professor traveled to Cuba to document its people while they are in a state of mourning. While Patricia Richards has traveled to Cuba numerous times before, this time she was met with a different scene than she remembered. During the time of mourning, Cuban television only replayed videos of Fidel Castro’s life and movies about the 1959 revolution that brought him to power as well as interviews with people close to him. Having been to the famous Plaza de la Revolucion numerous times, Richards said the sight that met her on this trip was unlike anything she’d seen before. “With the density of the crowd, it was surprising whenever I ran into (and often ran over) some who were seated,” she said. But most were standing and friendly, Richards said. 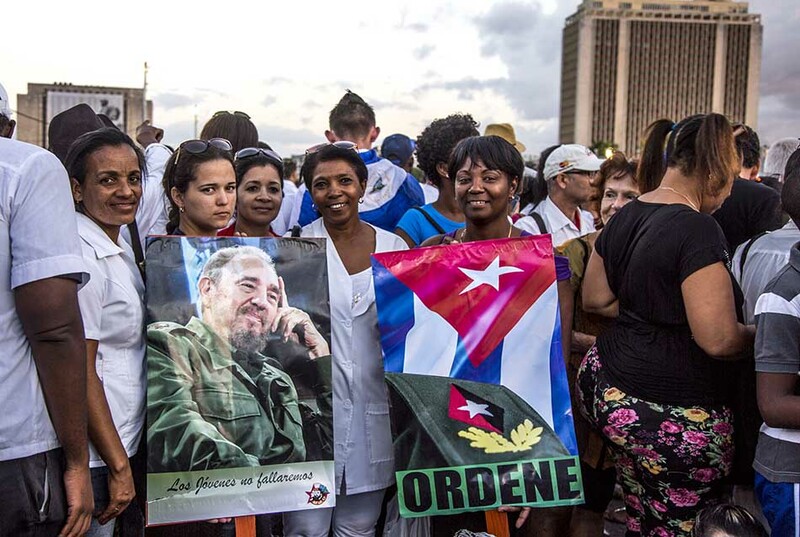 “Although there was some sadness, most appeared to have gotten used to the idea that Fidel Castro was dead, and that this was his final rally,” she said. No one was selling food, drinks or souvenirs, and Richards said pickpockets were nowhere to be found as well. 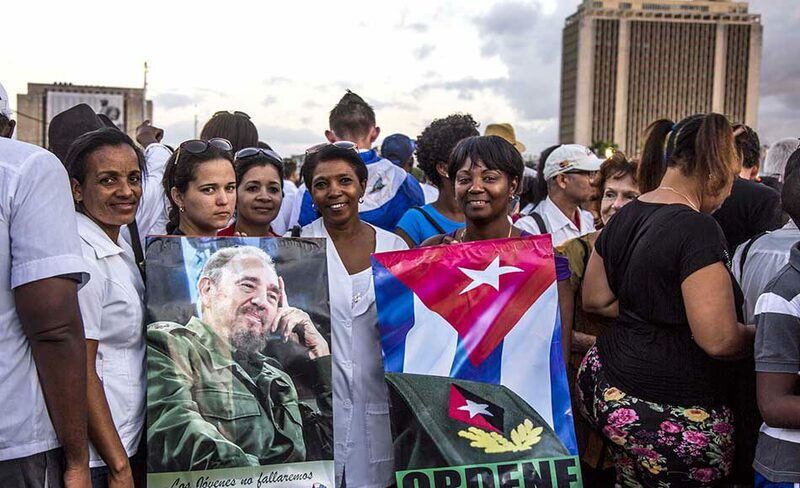 It was purely a rally to say goodbye to Cuba’s leader for 47 years who died Nov. 25. On the taxi ride back to her hotel, Richards said occasional outbursts of “Viva la Revolution” and “Viva Fidel” could be heard. 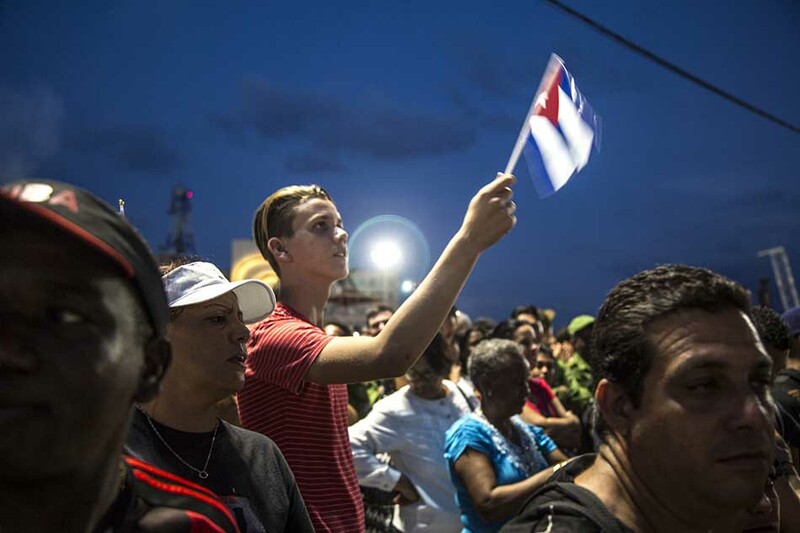 The morning after, Richards said Fidel’s ashes, draped in the Cuban flag, were taken on a nationwide tour before his burial in Santiago de Cuba on the eastern side of the island Dec. 4. And as for how Cubans feel about the future of U.S.-Cuban relations, Richards said the people are uncertain. President-elect Donald Trump is gearing up to take office, and he’s been vocal about his thoughts on U.S.-Cuba relations on Twitter. “Some are fearful that negativity that Trump has exhibited up to this point will continue where Cuba is concerned,” Richards said. 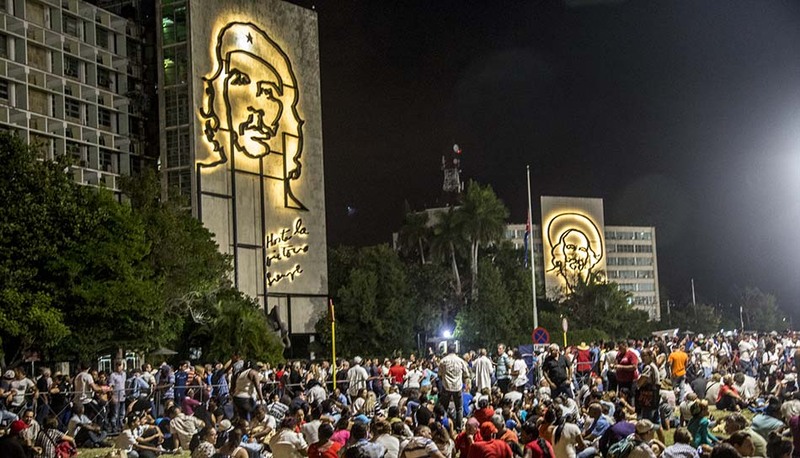 For Cubans in Cuba, Castro was a symbol of communism and everything they believed. For those in exile, he symbolized an opposition to democracy. Some Cubans see Castro’s death with different eyes and a newfound hope for a country they are exiled from. Rodriguez, who fled Cuba for the U.S. when she was 25, said life under Castro wasn’t easy. 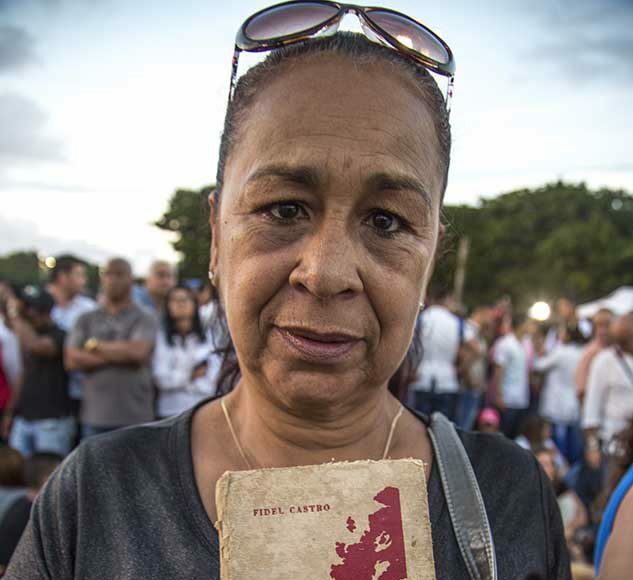 As a child, she remembered being bused to Havana’s Revolution Square to listen to one of Castro’s speeches. Crowds say their goodbyes to Castro and accept the fact that he is gone. 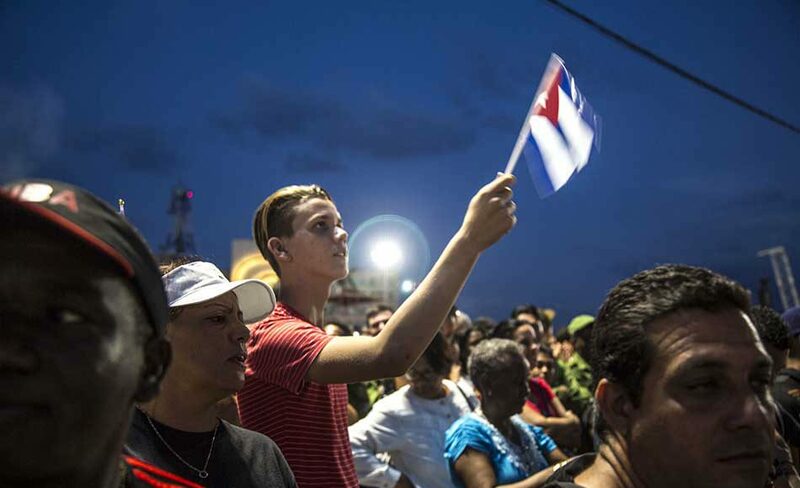 The rally held on Plaza de la Revolucion was unlike the ones usually held, Richards said. With Donald Trump to become the next president of the United States, future relations with Cuba and the United States are still unclear, many residents say. Richards says the crowds did have a touch of sadness, but most were still getting used to the idea of Fidel Castro not being around. 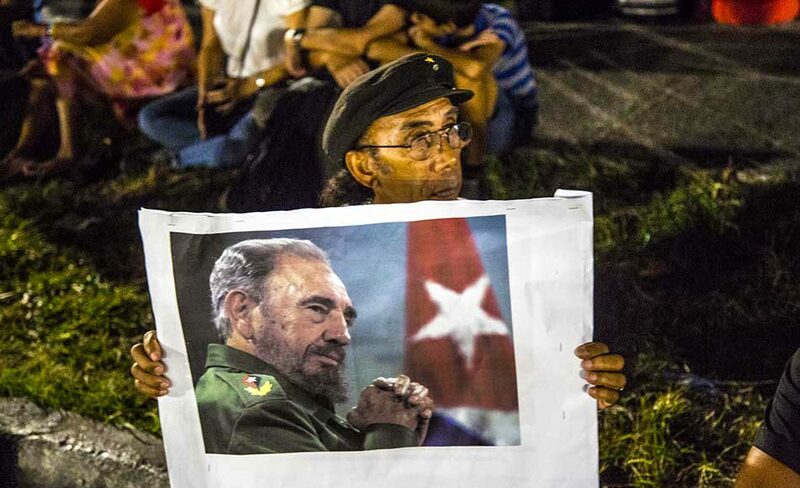 At the rally held in Havana, Cuba, films showing his life are shown to the crowd. 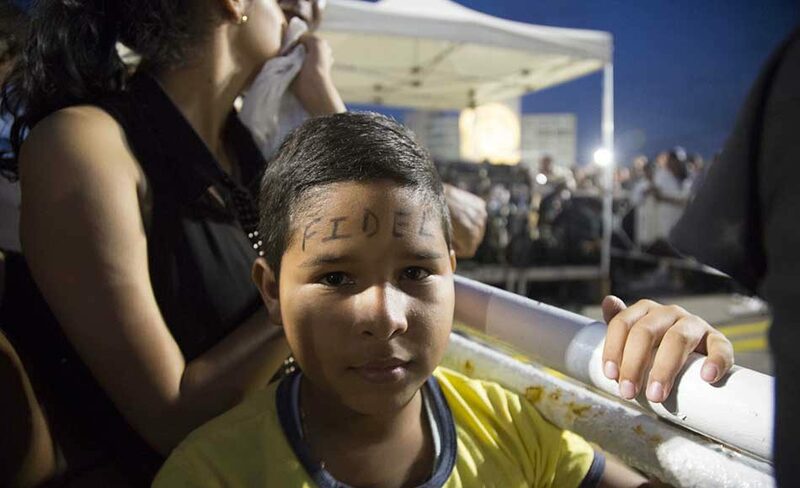 Since his death on Nov. 25, Fidel Castro is being remembered by the citizens of Cuba. 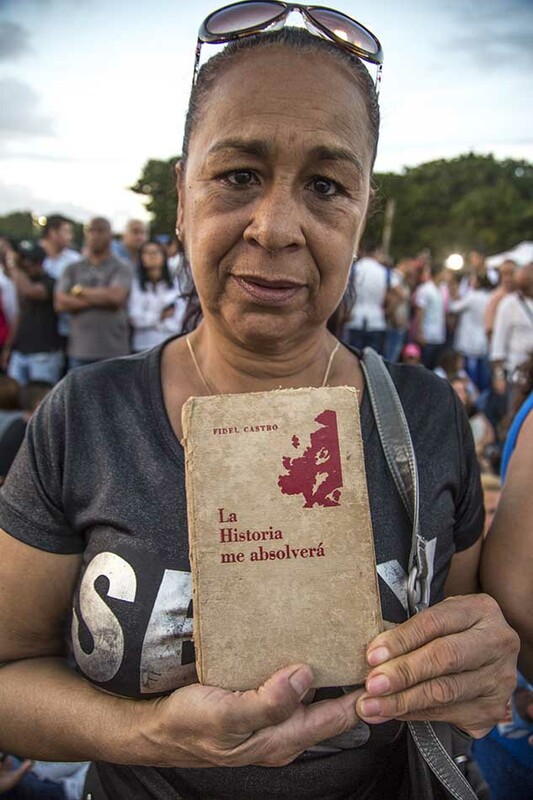 One woman in the crowd at a rally in Plaza de la Revolucion holds a book containing a four-hour speech Fidel Castro gave Oct. 26, 1953. 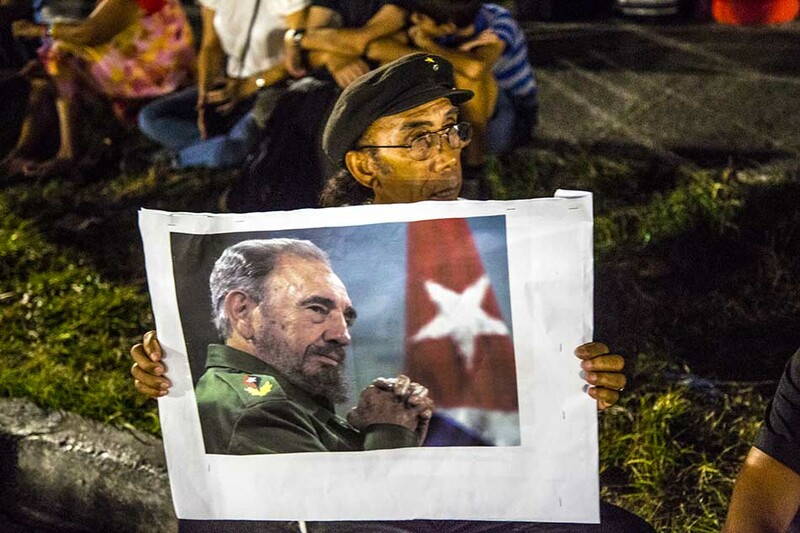 Castro’s life was remembered during the rally.